Bonnie (Allison Janney) and Adam's (William Fichtner) relationship is being hit with a double dose of trouble on Mom. 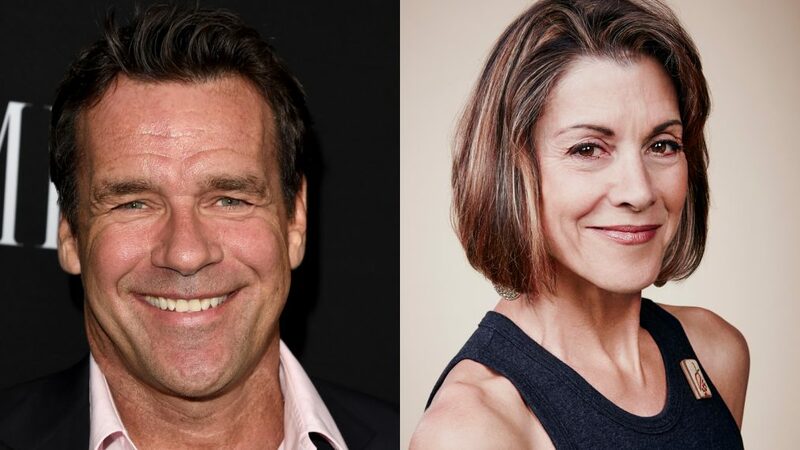 David James Elliott (JAG) and Wendie Malick (Hot in Cleveland) will guest star in separate episodes of the CBS comedy in February, TV Insider has learned exclusively. Malick will play Adam's ex-wife, whose friendly relationship with him confounds Bonnie. Elliott, meanwhile, will play Joe, a (sober) restaurateur who Bonnie meets at a food festival...and finds herself drawn to. Malick and Elliott are the latest high-profile guests to appear on Mom: Janney's former The West Wing co-star Bradley Whitford, and Anna Faris' real-life husband, Chris Pratt, are also set to pop up in early 2017.